The D.C. Statehood Green Party styles itself the District’s “Second Party” -- a barb directed not just at the city’s Republicans, but also at the notion that D.C. is a one-party town. This year, the Statehood Greens have five candidates running for citywide office. Wilcox, who finished third of five candidates in at At-Large Council bid four years ago -- outpolling the Republican contender -- is now running for Council Chair. Wilcox, an attorney who served on the D.C. Board of Education back in the 1990s, says her campaign is primarily about raising the visibility of the Statehood Greens. 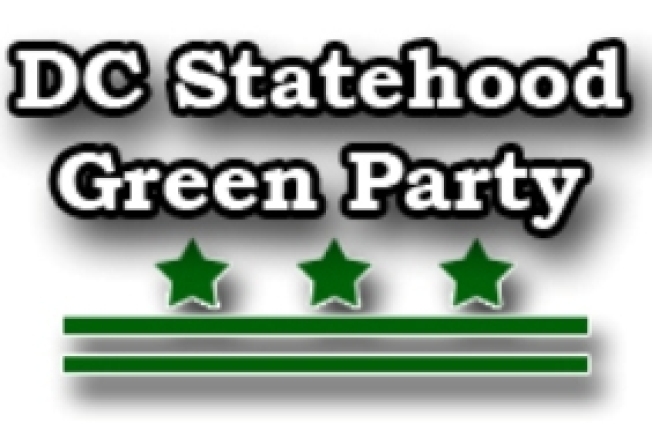 So what’s the difference between the Democrats and the Statehood Greens? Wilcox says her party will do more to focus on those left behind by the District’s rush to development. David Schwartzman, a Howard University environmental science professor, is running for At-Large Council, one of four candidates in a race where the top two vote-getters win. Schwartzman’s goal is to finish second to Democratic incumbent Phil Mendelson but outpoll independent incumbent David Catania to win a seat. Schwartzman suggests that voters who rejected Mayor Adrian Fenty should reject Catania as well. “I stood against the Fenty-Rhee-Catania agenda for so-called educational reform that closed neighborhood schools and unjustly fired experienced teachers and staff,” he told me. He says the “most relevant factor impacting student performance” is family poverty, which has been ignored. Schwartzman, a political activist for more than 50 years, says the District government should focus on the needs of the “working and middle-class majority.” This would entail the adoption of a progressive tax structure and the creation of a “D.C. Municipal Bank” to fund green jobs and economic development, as well as affordable housing. He accuses Catania of “consistently voting against modest tax hikes for the wealthy and for hurtful and avoidable cuts” in social services and adult education. In the 2006 mayoral race, the Statehood Green candidate received 4 percent of the vote, while Republican David Kranich got 6 percent. (Democratic nominee Fenty took 89 percent.) But in a run for an At-Large Council seat two years ago, Schwartzman received more than 18,500 votes, and other 2008 Statehood Green candidates received 7 to 13 percent of the vote.